Home Tags Posts tagged with "Forms"
Do you use Google Forms? Every educator I know relies on Google Forms in some way for projects or assignments. You can see a list of handy ideas about using Google Forms in the classroom online. At the TCEA Campus Technology Specialist Academy, Dr. Bruce Ellis amazed participants as he shared several “game-changer” add-ons for Google Forms. In this blog entry, let’s take a look at five Google Forms hacks you may find useful. These may make your Forms experience more impactful. Note: Follow @DrBruceEllis for more great tips on using G Suite for Education tools. Be sure to check out the TCEA TechNotes blog as well. You may know how to create forms. The process can be as simple as going to Google Forms website. Once there, you can use existing templates or make your own. 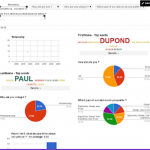 Did you know that you can do so much more with Google Forms? Let’s explore these five hacks. Click the gear icon. Select Get pre-filled link option. Fill in and complete as needed. Click the Get Link button. You now will have a pre-filled form that respondents can finish off in a quick manner. What makes G Suites tools so excellent is how many add-ons are available. You can find a list of some of my favorite add-ons in this blog entry, Five Hacks for Google Sheets. 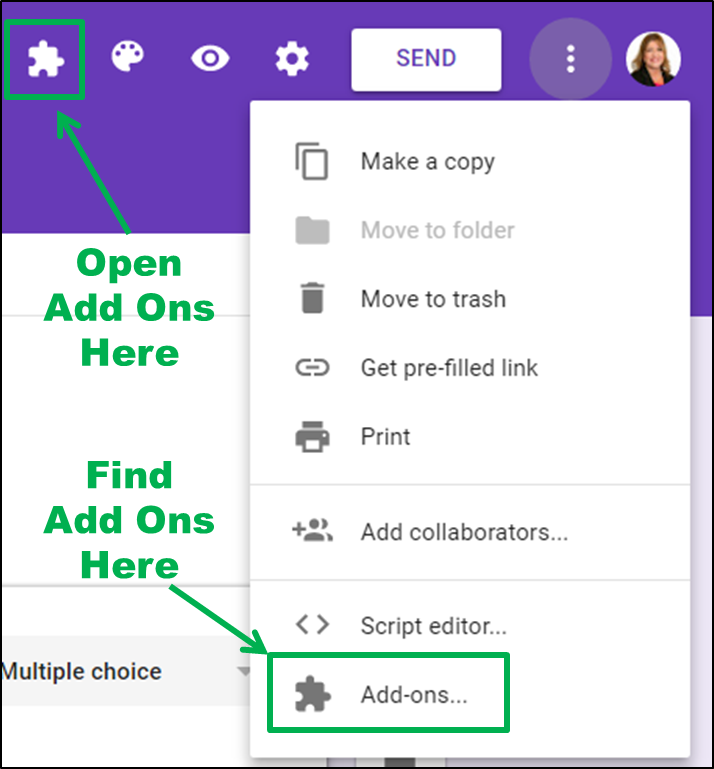 Add-ons are easy to incorporate into Google Sheets. 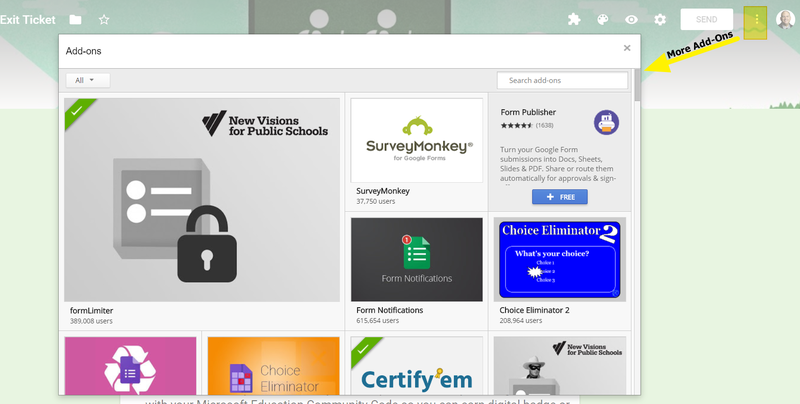 What some are unaware of is that Google Forms has add-ons as well. To access them, click on the jigsaw puzzle piece in the top right-hand corner of your Google Form screen, as shown. You can access more add-ons, too. Click on the “skinny snowman,” that column of three dots between the SEND button and your profile picture. You will see the MORE ADD-ONS option in the menu that appears. As you can see, there are several available. Let’s take a look at a few. Do you need to test and track knowledge or proficiency with employees, team members, students, or customers? Do you need to provide proof of certification for people in your school, club, sports team, store, or office? Now there’s a simple and easy way! Don’t be uncertain about peoples’ knowledge… instead, Certify’em! Have you heard of Awesome Table add-on? It makes it easy to display the content of a Google Sheet. Working with records in a Google Sheet can be cumbersome. Instead, Awesome Table transforms your Sheet of columns and rows into various views. View types include simple tables, directories, Gantt chart views, Google maps, card views, and more. It even comes with a template gallery to get you started. But, wait. I bet you’re wondering where Advanced Summary hack comes into play. Advanced Summary, a complementary add-on, takes advantage of Awesome Table. Advanced Summary “generates charts and filters based on a Google Form responses.” It makes it possible to isolate and analyze any subset of data collected via Forms. You can then show charts of that data subset. “Wouldn’t it be neat if we could offer digital badges to workshop and webinar participants?” I asked a colleague not too long ago. G Suites add-ons to popular tools like Forms and Sheets make that possible for small organizations. For example, Digital Badges add-on relies on images in your Google Drive so that you can then assign the badges to students. Open Badges is a standard for digital credentials originally developed by Mozilla and now embraced by IMS Global. It’s now a popular and widely-adopted standard used by many organisations involved in skills, education and training. Learn more. Another add-on, Open Badges, makes it easy to use Google Form submissions. These submissions turn into digital badges. Wondering how it works? A student fills out a form. The form is submitted when a task is done. The Openbadges.me uses the data submitted and matches it against the badge’s criteria. If the submission meets the criteria, then the submitter receives the badge. Adopt these hacks to step up your work with Google Forms. You will be able to get more done and collaborate with others in new ways. The easiest way to share a Google Doc, Slide, or Sheet is to use a little trick called Force a Copy. 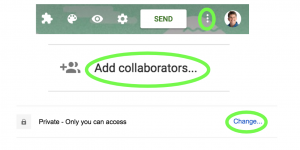 This enables you to share the activities and lessons you create with others without worrying about them accidentally editing something on your version. However, things get a little more complicated when you involve another tried and true Google product, the Google Form. During a blog writing episode, I created a Google Form and I wanted to be able to share a copy of it without giving editing rights. Of course, I tried the same procedure one would use to Force a Copy of a Google Doc, Slide, or Sheet. That process is to replace the word EDIT in the URL with the word COPY. I was hoping this trick would work with a Google Form. But, NO, not happening. Do not despair! My colleague, Miguel Guhlin, shared five easy steps to make this magic happen. One more item, I know the featured image above says “Copy Document,” but trust me, it is really a Google Form! a. Find the word EDIT. Delete edit and all characters/symbols that come after this word. Viola! When you give somebody this link, they will be able to copy your Google Form. Easy as pie! 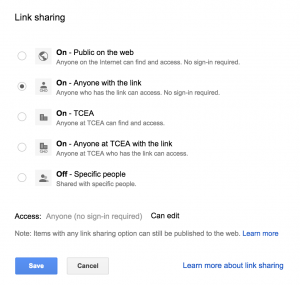 Now go forth and make and share Google Forms for everyone in your network! I hope you enjoyed this little tech tip. Do you have any Google quick tips you have hacked that make your life easier? Feel free to share them in the comments or let me know. You can find me on Twitter @preimers. Eliminating the number of decisions you have to make increases your energy level, asserts the author of The Power of Engagement. You can accomplish this in a easy way with a Google Sheets add-on. Consider this scenario. You setup a Google Form and send it out to everyone you know. When you are looking at the responses, you realize, “Wow, I don’t want to reformat this Sheet of Form Responses for readability.” You want to avoid countless energy-sapping decisions as you try to wrap content in Sheet cells, move data around, read tiny text on a crowded screen. 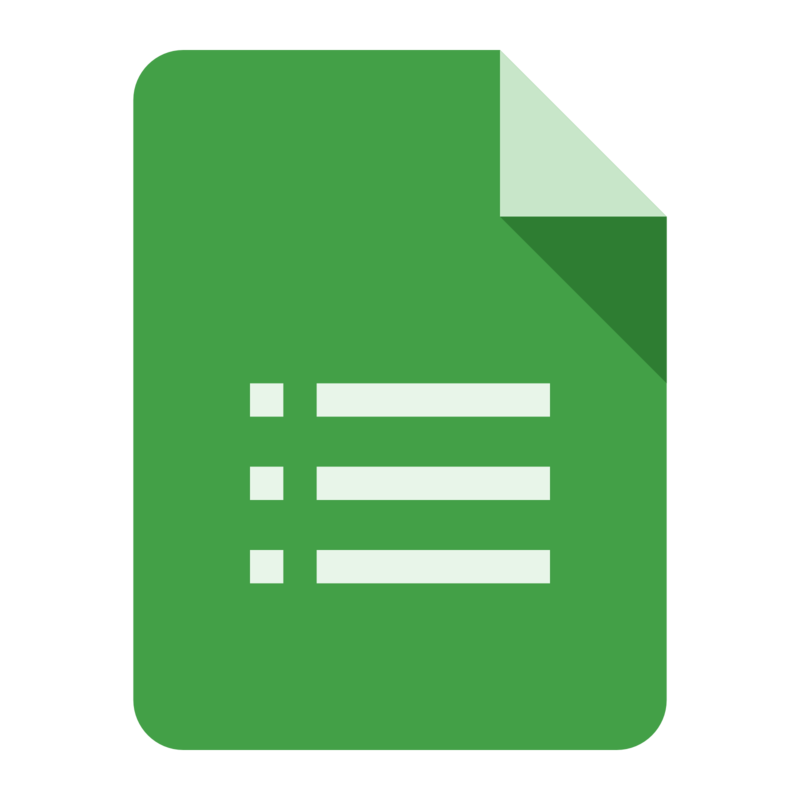 A wonderful Google Sheets add-on makes it easy to read through the responses submitted via a Google Form and saved in a Google Sheet. We all know that reading long paragraph field entries is a nightmare in a spreadsheet. But, good news! The add-on Save as Doc is the cherry on top when it comes to finding a solution for your Google Forms content. Choose any name for the generated document. Select any number of adjacent cells to output. Choose any heading style for column headings. Add a pagebreak after each row of data. Save the current settings as the default. 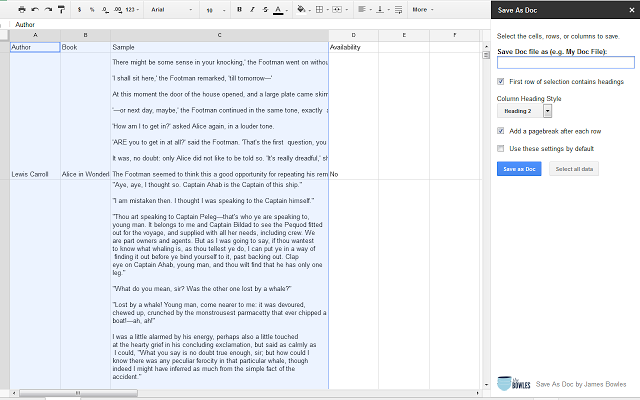 Generates a Google Document in your Google Drive. Within Google Sheets, click on Add-ons. Type a Save Doc File name. Modify the output settings in the sidebar. At the bottom, click on the blue Open the Doc. Use Google Forms to enter the information. The responses are compiled in Google Sheets. Use the Save as doc add-on to turn your information back into a Google Doc. Want to power through more tough tasks in Docs, Sheets, and Form with add-ons? I’ll be sharing some more of my favorites in upcoming blogs. And, if you’re a TCEA member, check out our list of recommended Chrome apps and extensions. They’re divided by category and then subject, making them easy to search through to find exactly what you need. Jump onto Twitter and you can learn something new. While hashtags make finding relevant content easier, not everyone uses them. Here are my Twitter takeaways focused on Google tips and tricks. From Google Translation in your spreadsheet to email filters to the day the dinosaur died and Google Forms, there’s a lot to explore. Who knew you could drop a list of words in and then have Sheets translate them into a wide variety of languages? Brad Dale did. You can read about more ways to manage your email in this blog. Curious about the day the dinosaurs died? Then you will want to check out biointeractives. These rely on Google Earth to provide a guided tour around the globe featuring videos, text, and interactive images. Find more bio interactives via the hhmi website, which offers hundreds of free science resources. Looking for an overview of a few new Google Forms features? Look no further than David Geurin’s tweet. Follow the link to see more information on intelligent response validation, setting defaults for Form preferences, checkbox grid questions, and section re-ordering. Create templates that save time, are customizable, and make the look and feel of your Slides consistent. One way to accomplish that involves creating Google Slides templates. @UsingTechBetter provides some suggestions on how to better accomplish that. Knowing how to do this can come in handy when creating hyperdocs. You can find some of our great templates here and here, along with these for students here. What Are YOUR Twitter Take-Aways? Now that you have had a chance to see how I have “mined” my Twitter stream, what are your Twitter takeaways? Share them in the comments or your own blog, then post a link to this blog entry and tweet it. Invite a few other folks to share their takeaways and link back to this blog entry. I look forward to seeing what you come up with. Did you catch the news updates about an enhanced OneNote, Microsoft Forms, and Microsoft Flow? Just as Microsoft works hard to enhance its classroom offerings, it is also shuttering existing services like Docs.com. This morning, I woke to the news that Docs.com, which Tom Grissom highlighted in this TCEA Podcast, would disappear and be replaced by Slideshare.com as the preferred sharing platform. Some other updates in this blog entry include changes to OneNote 2016 and OneNote. We will also take a look at Microsoft Flow and Microsoft Forms (Microsoft’s IFTTT.com type service). Thank you for using Docs.com. We would like to let you know that we are retiring the Docs.com service on December 15, 2017, and need you to take action to save your files. Please make sure to migrate all your content to other storage and/or sharing services on or before the retirement date to avoid losing any of your data. As I look forward to Slideshare becoming the new sharing space, I hope that the migration process will be as smooth as suggested above. Find out about the migration process online. Some important dates to keep in mind include June 9 as the time when new Docs.com accounts will no longer be allowed; August 1 when publishing and editing of Docs.com content will stop; and December 15 when Docs.com will be completely inaccessible. Just a few weeks ago, I recorded two video walk throughs of OneNote 2016 (now sporting a new name, OneNote Desktop) and the OneNote app on Windows 10. In that time, Microsoft has rolled out incredible changes to the OneNote app, making it my preferred OneNote tool. That means, yes, I’m no longer using OneNote 2016 and instead, prefer the free OneNote app. The latter has a more nimble interface and responds faster to commands. Be sure to update your OneNote app to get these revised or new features. Unless you are using some esoteric feature (e.g. copy text from picture, Onetastic macros, high-end table customization, insert Excel spreadsheets), the improved OneNote app may meet your needs. If you’ve been using Microsoft Forms, you’ll be delighted to note that it now has a new interface featuring Form thumbnails, as shown below. MS Forms also now supports a total of 68 languages. If that wasn’t enough, Microsoft just made this announcement about Forms integration with MS Flow. Microsoft Forms is a new part of Office 365 Education that allows teachers and students to quickly and easily create custom quizzes, surveys, questionnaires, registrations, and more. Currently in preview, the connector enables you to act whenever a new form response is submitted. If you are accustomed to using If This Then That (IFTTT.com), Microsoft Flow offers another tool that interacts specifically with Office 365 tools (e.g. OneDrive). IFTTT is one of my favorite tools to automate the flow of information from one location to another. Introducing these connectors will make it much easier for MS Forms to get work done. Using Forms and Flow, you can receive email, push, or text notifications when new survey responses are submitted. You can also notify your team by posting the response to your channel on Teams, Yammer, or Slack. You can route the response to your favorite database service or create a new record in Google Sheet or Excel. You can create workflows to automate tasks based on the information received from a user (the responder). If you are like many Office 365 educators, you are waiting for the biggest announcement of them all. That is, the availability of MS Classroom components into the more robust MS Teams. Having seen some of the integrations possible with MS Teams, I can only wait with anticipation to see what’s coming next. 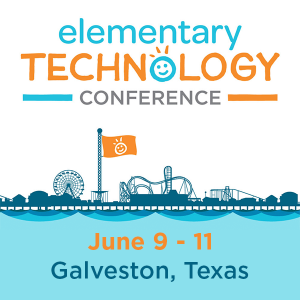 Stay tuned to the TCEA TechNotes blog for the latest updates. Dump those old paper rubrics and flip the learning! Empower yourself and your students to use Microsoft Forms for the quick evaluation of academic work. This makes grading easy and simplifies the process for students. In fact, it can create a culture of collaboration and self-assessment. Let’s explore some ideas for using Microsoft Forms, as well as review Forms features, in the classroom and/or for professional learning. Flipped learning videos enable students to seize anytime, anywhere learning opportunities. However, a challenge for teachers and students involves deepening engagement with the video content. While tools like EdPuzzle and Flipgrid offer built-in assessments and video responses, respectively, they are also more involved than simply filling out a form. Embed a YouTube video, image (such as a Powerpoint slide with information or diagram), or Office Mix. Pose questions that check for understanding about the video. Students complete the questions as they watch the video. Make it possible for students to collaborate and create their own rubrics for class projects. Not only do you create a culture of teaming, but students will experience a model, purpose-driven learning. space where students and teacher(s) share what did not work and why. When learning new ideas and implementing projects, sharing how you have failed can be an effective motivator. 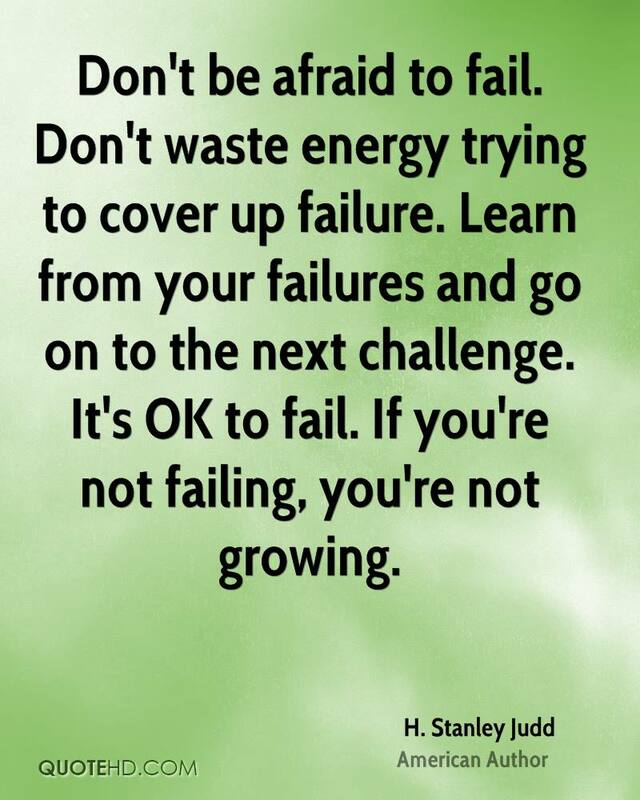 Having these awesome failures relevant to projects over time can help map out roadblocks and detours that students can take. Create a virtual failure space with Microsoft Forms to capture incomplete implementations or partial success. Model the use of this with your students. “What are the most important takeaways from today’s lesson or reading?” Microsoft Forms can facilitate the list that results from this kind of prompt. Combine this approach with soliciting feedback from the community. As students work on a project, post their works in progress (video or photo) and then invite community members you trust to share their suggestions. Get an Office 365 account for free. Select the type of questions. You have several choices such as Multiple Choice, Quiz, Text, Rating, Date. Type your question or add media (e.g. YouTube video, image). Publish the form to others in your organization or anyone with the link. 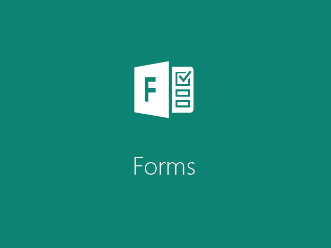 To better understand the possibilities, here is a list of MS Form features. Make it easy to track those who complete the form in your organization or make it available sans tracking for anyone with the link. Save results as an Excel spreadsheet. After all the responses have been gathered, use Excel to add formulas and sort the data in order to analyze it. Set start/end dates at specific times for when the MS Form is opened or closed for completion. When form is NOT accepting responses, create a custom message as to why. View/delete/print individual responses or summary responses in aggregate form with graphs. See what the average completion time is for the Form. Also, each question has individual options that you can take advantage of. For example, the Rating question type includes the ability to assign labels. With the Rating question type, you can switch between stars (e.g. 5 stars for great!) or numbers (e.g. 1-5, with 5 being the best). As you can see, MS Form boasts an extensive list of easy-to-use features. Combine it with one of the five approaches mentioned above to engage learners in your Office 365 classroom. If you are already creating rubrics, exit tickets, or awesome failure walls in Microsoft Forms, I’d love to hear from you! Share your examples with me at @mguhlin on Twitter or [email protected] via email. Collecting data via online forms has never been easier. New web-based form tools have revolutionized how we gather and analyze data, making arcane database-backed web tools obsolete. Even the next generation of database-backed web tools (e.g. Airtable, Obvibase, more solutions) find themselves catering to power users, rather than teachers and students. These descendants of venerable desktop database tools (e.g. Filemaker Pro, Microsoft Access, Alpha IV, Paradox) require some knowledge of databases and how they work. Google Forms and Microsoft Forms drop database complexity and make it easier for K-12 and adult learners to focus on the task rather than the method. Gather data about a particular phenomena or event and then use the data for analysis by staff and/or students. Conduct climate surveys to get insights into staff perspectives about the work place. Enable participants to craft self-assessments for appraisal or growth purposes. Get insights from staff/students/community into home technology and/or social media use. 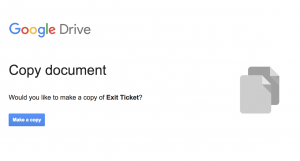 Employ forms for formative assessment activities, such as exit tickets. Set up a help desk system to track requests for support. You can find even more uses online in these TCEA TechNotes articles on the use of forms. Remember, you can easily adapt the uses of forms across the tools available. Find the one that works best in your environment (e.g. Google or Office 365). Are you a Texas educator using Office 365 in your District? Join the free, open to members and non-members TCEA Microsoft Innovative Educator (MIE) Facebook group! Both Microsoft and Google Forms have a wealth of features. Let’s explore some of those features, keeping in mind that they are rapidly changing. Branching responses Yes, dependent upon response chosen Yes, with the ability to send to a different page. Set start and end dates at specific times for when the form is open or closed for access Yes, by date and time No, form must be manually shut down to stop receiving responses. FormLimiter add-on can be enabled, however^. Handling of individual or summary responses Yes, options to form creator include viewing, deleting, printing individual and/or summary responses. In summary view, responses are aggregated and appear with graphs when appropriate. Yes, options include viewing of individual and summary responses. Summary view includes aggregate results with graphs. 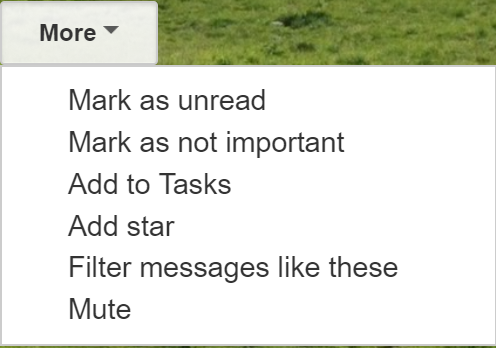 Removing individual responses may require accessing the Google Sheet where Form responses are archived. ^Special thanks to Eric Curts (@ericcurts; Ctrl-Alt-Achieve) for his feedback and corrections indicated with this symbol. Print summaries of MS Forms charts are now possible. Individual quizzes featuring student responses, scores and feedback are printable by the teacher. Extra credit points can now be alloted. Teachers can post scores, enabling students to to view their quiz score and obtain feedback. Students can be provided feedback regarding their form responses. Individual items can now be scored. Specific value formats (e.g. number) can now feature data entry restrictions. Math symbols and equation creator are available in quiz mode. Form creators are prompted as to whether Form or Quiz is planned. Microsoft Forms features have expanded (e.g. a recent addition is collaborative form editing, a feature Google Forms also enjoys) since a preview launch in the summer of 2016. In important ways, it has achieved parity with Google Forms. In other ways, it may have outpaced Google Forms. For educators in Office 365 districts, Microsoft Forms represents a fantastic tool. Given the prompt development of both products, the feature gap will not endure long! *This post was updated January 25, 2017. During a recent Get Your Google On webinar, Jennifer Bergland, Director of Governmental Relations at TCEA, shared ways in which you can move beyond just the basics and do more with Google Forms. One of those ways included the use of add-ons. If you aren’t familiar with add-ons, they are small programs built by third-party developers that can be installed to bring more functionality to your forms. Form add-ons allow you to add extra features to your forms, get customized notifications, turn your form entries into documents, and much more. To find Form add-ons, click on the More button (which looks like three little dots in the upper right-hand corner of your form) and then scroll to Add-Ons. You can browse through the add-ons and install the ones you want. You’ll then get a new puzzle piece icon in Google Forms, with a menu that lists each of your add-ons. Most Google Forms add-ons run in a popover on the right side of your form, and they may also include an options pane that opens in the center. To open an add-on, just select it in the add-ons menu, which looks like a puzzle piece. To manage or remove add-ons, just open the Add-ons pane again under the More button, find the add-on you want to remove, click the green Manage button, and then select Remove in its menu. Below is a list of some useful add-ons to get started with. Choice Eliminator 2 – This add-on eliminates options from multiple-choice, list, or checkbox questions if they’ve already been selected. It’s a great way to make a signup form. CheckItOut – This add-on lets you check in or out items with a form. When the items get checked out, the items move to a section of the form titled Check In. When they return the item, they can check it back in, which moves it to the Check Out category. Form Notifications – This add-on sends custom email notifications to you and, optionally, to form respondents, with details about the form results, as well as a thank you message. formLimiter – This add-on limits how many times your form can be answered. It can watch for a number of responses, a date and time, or a set value in your results spreadsheet, and then will disable your form once that number is reached. formRecycler – This add-on lets you recycle questions from other Forms in your Drive. Just pick the Form in the popup window and it will populate with the questions from that Form. Select the ones you want to insert and the formRecycler will automatically insert them at the end of the Form. 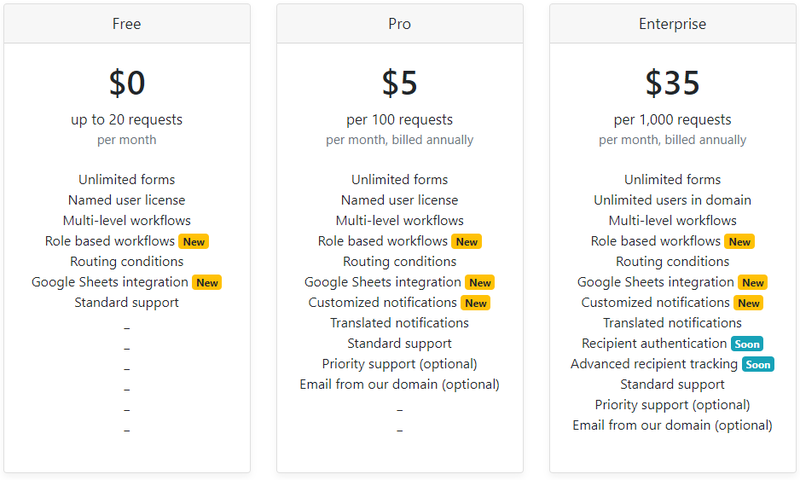 As you can see, Google Form add-ons can save you a lot of time, as well as make your forms more functional. The next time you create a Google Form, give some of these add-ons a try, and don’t forget to tune in to our Get Your Google On webinars. They are held the first Thursday of every month and are free to TCEA members. Register here. Microsoft continues to delight educators with updates and changes to its suite of learner-centered offerings. TCEA makes it possible for you to learn how to use these tools (watch the MS Classroom: Explore! video series) to maximize teaching, learning, and leading in your school and/or district. Whether you are an Office 365 expert or just beginning your learning adventure with Microsoft Education tools, you will want to take a quick look at these powerful updates. Did you know that you can get Office 365 Online tools and one terabyte (TB) of cloud storage for free as an educator? This includes Word Online, PowerPoint Online, Excel Online, and Outlook Online. Visit this website to claim your free storage space and access. Or, if you prefer, pay $69.99/year ($6.99 per month) for Office 365 Personal. Not sure how to get started with Office 365? Check out these free online videos and Join TCEA MIE Facebook Group. Microsoft Classroom boasts a rich feature list. Be sure to read the Classroom Smackdown blog entry for a complete list with videos and tutorials. OneNote has been enhanced. Add-ins include Learning Tools and Class Notebook. The latter provides learning management system integration. Watch Become a OneNote Ninja! to find out more. From typing to digital ink, video embedding, audio recording, and capturing web content with the OneNote Clipper add-on, OneNote makes collaborative learning easier. Microsoft Forms powers formative assessments and surveys (Source). Use Forms to assess students with built-in quiz features,real-time feedback, and branching. Send the form to students via a link or QR code or embed the form in a web page or OneNote notebook page. Docs.com provides a great space to share and track what you’re creating in your classroom. You are now able to publish your documents, spreadsheets, and presentations. Once published, you can track access analytics for free. Find out more. Sway, an alternative, mobile-friendly, and responsive web design presentation tool, recently added an Accessibility Checker. This is the darling of presentation resources for teachers and students. Edge Internet Browser now supports extensions, such as the Office Online extension (e.g. Chrome or Edge). This extension provides direct access to your Office files and enables you to create and open Word, Excel, Powerpoint, OneNote, and Sway documents right from the browser. PowerPoint now has an automatic navigation link creation tool known as Zoom, as well as a new text highlighter tool. PowerPoint and Excel also take advantage of shape recognition, allowing you to convert drawings into shapes. MS Word now features Researcher, a tool that helps you find relevant quotes and citable sources and images without leaving the app. Boost your curriculum and lessons with Office 365 lessons available at the Microsoft Educator Community. The future is bright, and options exist. Why not explore? “How do you blend tools to solve a real-life problem?” That’s a question that pops up often for me. A popular concept from using iPads is “app-smashing,” which involves taking what you made in one app and dropping it into another. Usually, this results in a refinement of the initial product, enhancing it with audio or video. You can do the same with Google Apps tools. Students have asked how they can know who else has signed up to attend an after-hours, academic field trip. To automate the process, create a Google Form to capture student registrations, which are saved to a Google Sheet, and those responses can be displayed on a Google Sites location. Staff have a variety of questions regarding a new initiative. They want to make sure you, the administrator, are getting the responses. To eliminate email traffic (after all, who needs more email? ), you want them to fill out a Form with their question. Then, you and your team are able to record your response in an additional column. Both their questions and your responses appear in a Google Sheet housing the responses. Create a sample Google Sites location that provides some background information on the event, has the Forms link, and displays the responses (as well as any additions you have made). Share the link via social media or email the link to the Sites location to those who need it. Step 1 – Create the Form and Sheets spreadsheet for responses. Once the person has completed the form, they would be shuttled off to the Google Sites location that is to be created in Step 2. In truth, you could probably complete Step 2 first to get the link or just come back and edit the form. Another key component of this step is to create the Responses form and designate where those responses will appear in a Google Sheet. To verify the form is working, submit a fake response. Once the response has been submitted, you will notice that the Responses Google Sheet has placed your responses beneath a column corresponding to the information queries. Note: This Sheet’s responses shows the request and status for unblocking content. Home – This tab is your “Welcome” screen that allows you to provide background information for visitors to the Google Sites location. Ask for Help – This tab includes a link to the “Ask for Help” Google Form. The form is actually embedded in the Google Sites page, enabling visitors to fill it out and submit it without having to leave the Sites location. Check Status – This tab features an embedded copy of the Google Sheet which houses your responses. Once your Google Sites location has been created, you can share it with others, even using a URL shortener to make it easier to share. As you can see, you can add even more information to your Google Sites. But this makes it easy to quickly capture and share information and questions without being inundated via email with people’s requests for assistance. It also more quickly organizes the information for your review and externalizes it so that anyone you designate can look it up via Google Sites. This eliminates people calling or emailing you repeatedly to ask for the status. And it helps create a knowledge database that facilitates information sharing with interested individuals.